With Ashley Young out, David de Gea has been named Manchester United skipper by Ole Gunnar Solskjaer. It is an interesting move by Solskjaer has given Chris Smalling has done the job before and is the longest-serving player in United's starting line-up. Paul Pogba has been given the armband by Solskjaer also after it was removed by Jose Mourinho. Antonio Valencia is set to leave in the summer, so the job full-time is up for grabs. Solskjaer was asked about it in his press conference yesterday. "I've got a couple of players in my head that could be in the group for the captaincy. We'll see who's here for next season." In total Ole Gunnar Solskjaer has made five changes from the midweek defeat to Barcelona. Luke Shaw and Ashley Young are both suspended so Marcos Rojo comes in at left-back to make his first start under Solskjaer and Diogo Dalot drops to right-back. Phil Jones replaces Victor Lindelof at centre-back. 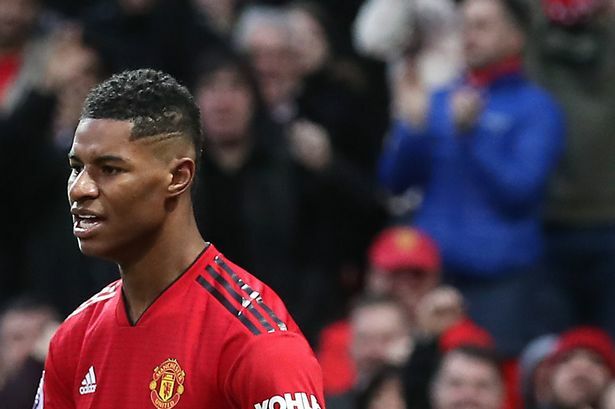 Jesse Lingard also starts with Anthony Martial replacing Marcus Rashford and Juan Mata taking Scott McTominay's place in midfield. West Ham make three changes from their defeat to Chelsea last time out. The big news is that Marko Arnautovic is not in the squad. Ryan Fredericks and Aaron Cresswell also miss out. Pablo Zabaleta, Arthur Masuaku and Ryan Snodgrass come in. West Ham: Fabianski, Masuaku, Balbuena, Ogbonna, Cresswell, Rice, Noble, Snodgrass, Lanzini, Anderson, Hernandez.